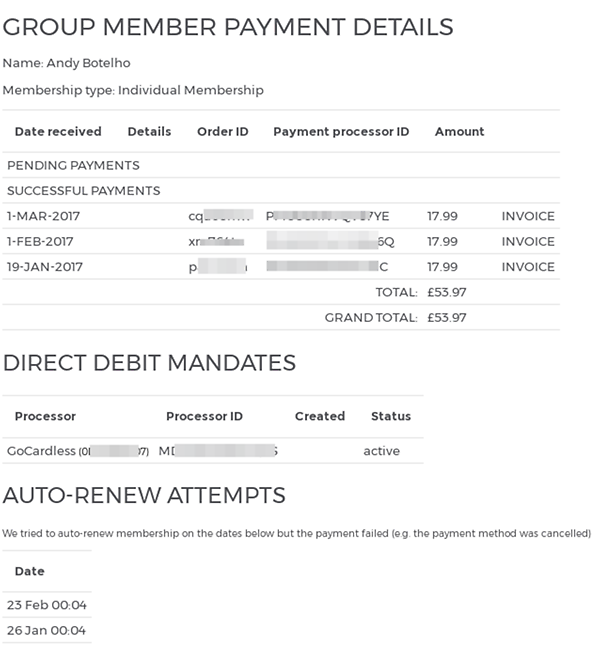 We've added a new screen for showing complete payment history of your group members, plus the status of any Direct Debit mandates, or 'pending payments' (e.g. 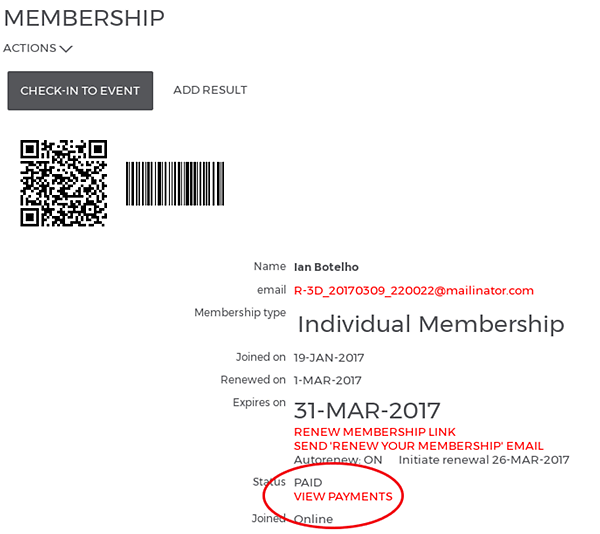 a DD that has been initiated but not yet collected). Should be self explanatory, but let us know if it's not!